I love me some Salmon and I think turning them into cakes with some red bell peppers makes for a great starter or as a meal. 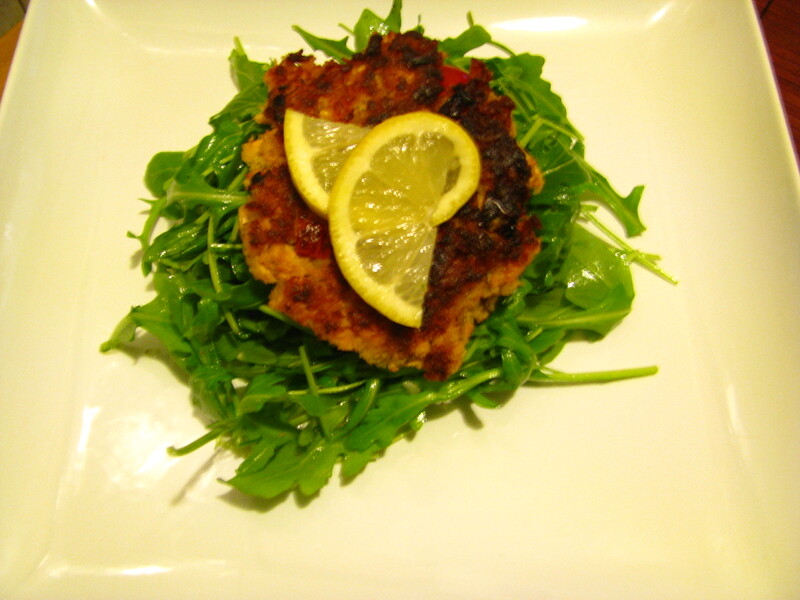 Topping any salad with a Salmon Cake just makes it that much better and healthier. Here I used Arugula Salad with my favorite dressing which is fresh diced garlic, olive oil, apple cider vinegar, salt and pepper. Such an easy dish when you’re on the run or just want something healthy. This meal could change my long-held aversion to salmon cakes — due to the really horrible versions that my mother served, growing up; key word DRY. These, however, look yummy!